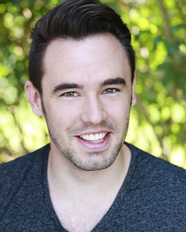 Ross Henson is a local comedian who will be taking his show to Edinburgh next year to take part in the famous Fringe Festival that is renowned for discovering new comedy talent. With all the energy of Lee Evans and mixed with a little blueness of Jimmy Carr, Ross promises an evening full of laughter. His comedy influences include the likes of Jim Carrey, Lee Evans, Kevin Hart, Eddie Murphy, Adam Sandler, Simon Pegg, Kevin James, Lee Mack, Jack Whitehall, Gabriel Iglesias (Fluffy), Tommy Copper and Norman Wisdom, to name but ‘quite’ a few! 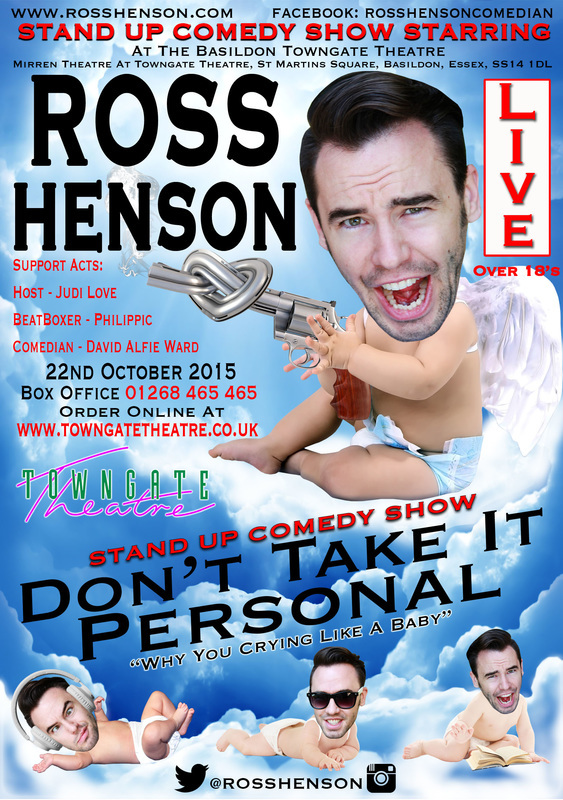 Born and raised in Essex, Ross has branched out into stand up and is pretty much a one man band at the moment. He writes all his own material, produces all his music tracks and designs the staging and is constantly coming up with new ideas for his show, with just a little help from Andy Mac pro lighting and sound. He is currently preparing for his ‘one night only’ stand up show which he has called “Don’t Take it Personal” which is being held at Basildon’s Towngate Theatre this Thursday 22nd October at 8pm. So what does he do in his spare time? “I’m currently working on a comedy album, as well as releasing my own music on iTunes, and Google Play etc, to follow up to my most recent release, “You Got It” and “Keep Calm And Rolo" (live audio comedy show), and also writing and producing tracks for other artists. Ross is also involved in a YouTube adult cartoon animation series called Degree currently which he is writing and producing alongside Peter Lay. “We do the majority of the voice overs for the show. Lastly, I’m writing a film for Hollywood and slowly putting together a sitcom as well. So not that much really.” he smiles.